Please join Nasco Education in support of National Autism Awareness Month during April. We are proud to join educators everywhere in promoting autism awareness, autism acceptance, and to draw attention to the growing numbers diagnosed with autism each year. 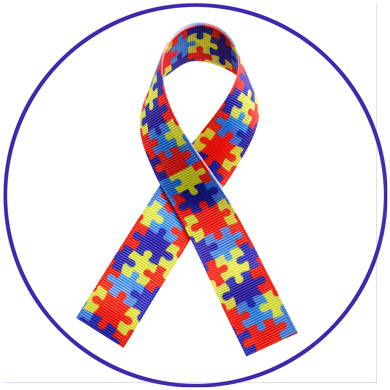 Nearly a quarter of a century ago, the Autism Society launched a nationwide effort to promote autism awareness, inclusion, and self-determination for all, and assure that each person with an Autism Spectrum Disorder (ASD) was provided the opportunity to achieve the highest possible quality of life. Nasco Education joins in the celebration of that mission as we encourage friends and collaborators to become partners in a movement toward acceptance and appreciation. At Nasco Education, we believe in providing parents and professionals everyday solutions while celebrating the talents, differences and challenges autism can bring. Our Special Education category offers teaching solutions that provide for the needs of today’s classroom including the needs of autistic students. From sensory products that offer comfort in their simplicity during stressful situations to unique tools, including a wide variety of calming fidgets, sensory toys, chewy toys for oral sensory relief, and other popular therapeutic products for autistic children. Nasco believes that every child deserves to reach their full potential, and we are proud to support National Autism Awareness Month by providing successful solutions for today’s classroom, and support for our passionate teachers to help them reach their goals.